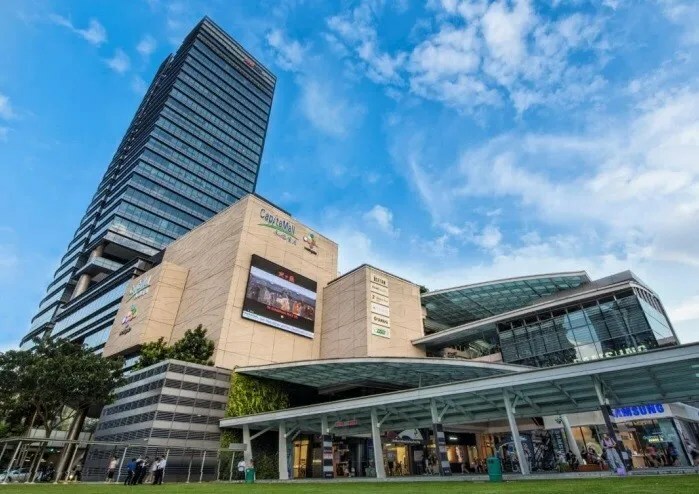 Last month, CapitaMall Trust has announced the proposed acquisition of the remaining 70.0% of the units in IMT which holds Westgate from CMA Singapore Investments (4) Pte. Ltd. and CL JM Pte. Ltd for $789.6 million. Including acquisition related expenses, it was estimated to cost $805.5 million. Westgate is one shopping mall where I vaguely remembered a small section of its ceiling collapsed due to heavy rain in the year 2014. If you didn’t know, CapitaMall Trust currently owns 30.0% of units in Infinity Mall Trust (IMT) which holds Westgate. Investors are negative about the proposed acquisition as they felt CapitaMall Trust had overpaid for the acquisition. Moody, a credit rating agency had also downgraded CapitaMall Trust rating from “stable” to “negative”. Moody explained the downgrade in rating is because the acquisition will likely increase CapitaMall Trust’s debt leverage, which in turn will reduce the headroom within the A2 ratings. The negativity can be reflected in the share price as you can see below that the share price is on a downtrend since the announcement of the acquisition. I shall not go into the details as they are available in the investor presentation slides. Below are the reasons CapitaMall Trust has provided for their proposed acquisition of Westgate. I will just want to highlight about the second point regarding the redeployment of capital towards higher yielding assets with better fundamentals. 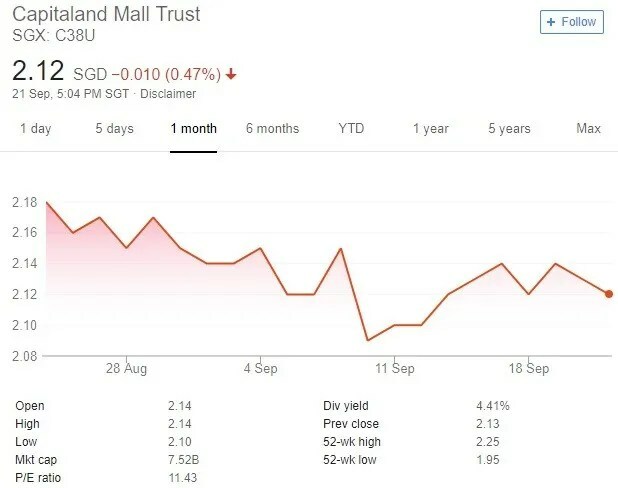 If you remember a few months ago, the manager of CapitaMall Trust had divested Sembawang Shopping Mall. The capital from the divestment will be used to fund the acquisition of Westgate which provides a higher property yield of approximately 4.3%. Investors felt the property yield of 4.3% does not justify the estimated $805.5 million to be paid for the acquisition which is deemed expensive. This contributes to the negativity of the proposed acquisition. The acquisition may be financed through debt or a combination of debt and equity. I prefer the later. The benefit of equity financing is that it places no additional financial burden on the manager of CapitaMall Trust. Since there are no required monthly payments associated with equity financing, the manager of CapitaMall Trust will have more capital available to invest in growing the business. Now, the important question most investors are thinking of now is whether it is an opportunity to buy into CapitaMall Trust now? Based on a total of 11.51 cents paid in FY17 and current share price of S$2.12, this translates to a dividend yield of of merely 5.43%. Even though the acquisition is yield accretive, I doubt the current dividend yield can reach 6%. A more suitable price of entry is perhaps S$1.92 which translates to a dividend yield of at least estimated 6%.